The results from the last poll are in, though they’re largely inconclusive. The question was “What is your preferred movie news site?” It finished a tie between IMDb and Other, each with 13 votes. Coming in third was Cinematical with 4 votes. 40 votes were cast overall. The new poll is up, and centers on traffic to your site. In the last poll, “LAMB Movie of the Month” (the clear and simple answer) was selected over a number of other choices (“Monthly Movie Mob” finished 2nd) as the official name of our, um, movie of the month feature. The top two finished with 23 and 13 votes, respectively. The new poll is up and focuses on movie news sites – which is your favorite? 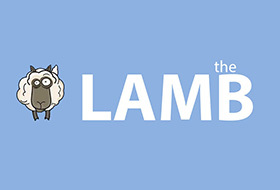 The LAMB Leaderboard is a way for the LAMB to scratch the backs of the sites that have scratched the LAMB’s back – in other words, it’s a ranking of the top 20 sites that are sending visitors to the LAMB. The leaderboard is updated monthly, typically within the first few days of the new month.